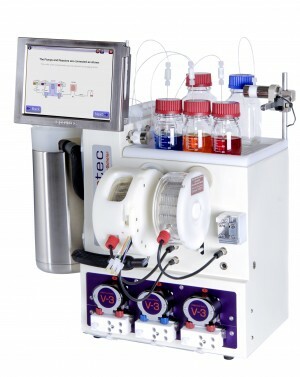 In a fascinating paper recently published in ChemMedChem, Prof. Adam McCluskey and a team of collaborators from Newcastle, Australia and West Lafayette, USA have used a Vapourtec easy-Photochem and UV-150 photochemical reactor to perform a photo-bromination in continuous flow, of a highly promising series of anti-cancer compounds. 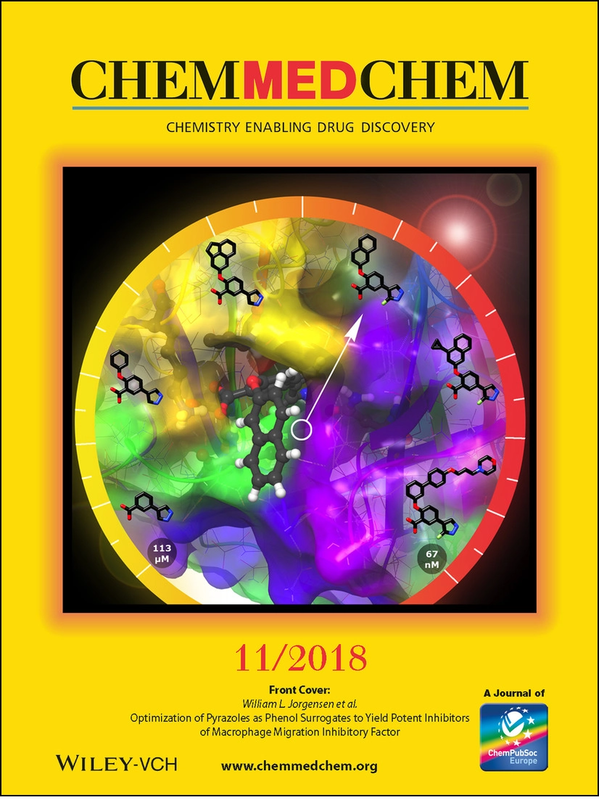 A Knoevenagel condensation of dichloro phenylacetonitriles enabled the team to prepare a library of dichlorophenylacrylonitriles, two of which in particular showed high potency and selectivity for a specific line of breast cancer. In the detailed and highly informative paper, McCluskey and the team explain some of the context of these compound’s activity, and describe a series of modifications carried out in an attempt to enhance their activity or selectivity. One key aspect is the compounds solubility; inclusion of bromine moieties was expected to result in an improvement. 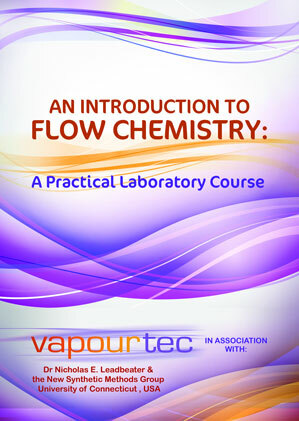 Using the Vapourtec easy-Photochem with a UV-150 photochemical reactor, a bromination using NBS was carried out with a range of the different filters offered by Vapourtec and at 0 °C. Excitingly, the team found that filter choice had a direct impact on the selectivity of the bromination; using filter 1 produced a mixture of both mono-brominated products, but using filter 2 produced predominantly the 2-bromo, while filters 5 and 6 produced mostly 3-bromo products. The same influence on selectivity was observed for the di and tri-bromo analogues as well. This is an important demonstration of how wavelength control can greatly impact a reaction. 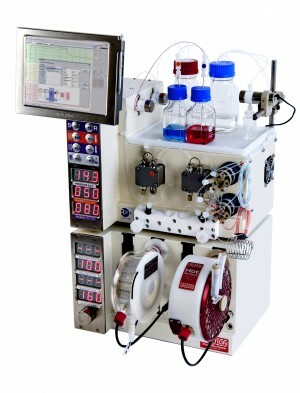 The UV-150 flow photochemical reactor can be equipped with a variety of filters to enable the user to target specific wavelength ranges. The newly brominated compounds showed a 3-fold increase in solubility compared to the non-brominated analogues, albeit with a small loss in potency. The team explored modifying the general scaffold of the compound by the addition of a nitro group, and a further, nitro example was photo-brominated using the easy-Photochem and UV-150 to again improve solubility, however this resulted in a 2.5 fold reduction in the compounds potency.